Taiyo Tanabe, Deputy Manager Event Planning Department Events Business Bureau, Nikkei Business Publications Inc.
Takashi Tokita, Shinri Endo, and Taiyo Tanabe are also representatives of the Computer Entertainment Supplier’s Association (CESA), which brings gaming-related companies in Japan together to promote and strengthen the computer entertainment industry. TGS 2018 saw record numbers of exhibitors, more than half of the 668 from overseas, and nearly 300,00 visitors over 4 days. 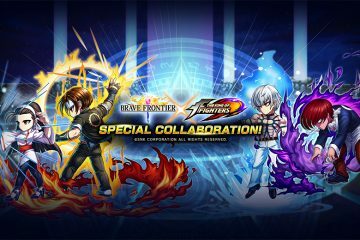 Online viewership more than tripled since 2017 – 5.9 million on Niconico, Twitch and Douyu to 19 million across 5 streaming sites (Openrec.tv and Twitter the latest streaming partners). 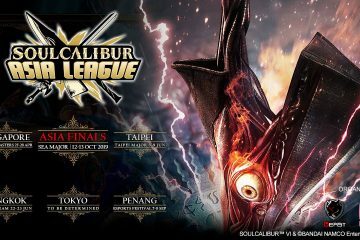 TGS is heading in the right direction to become Asia’s No. 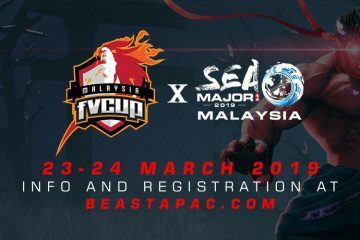 1 gaming event. 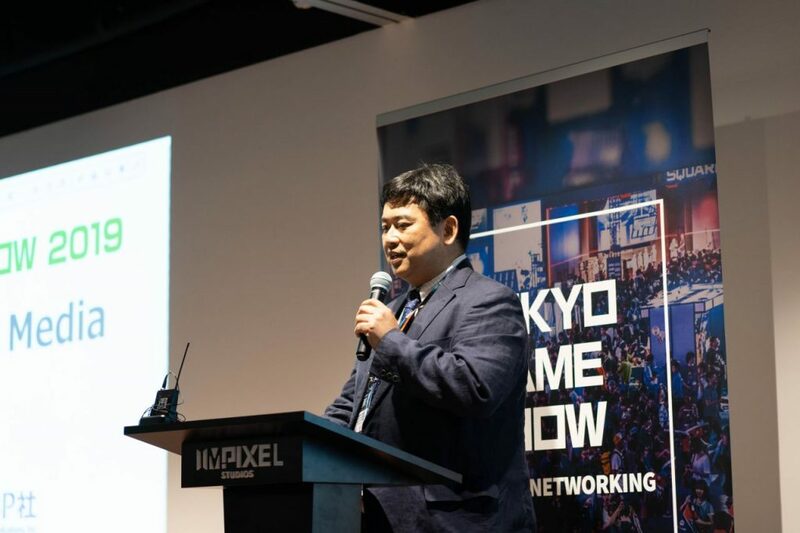 Mr Taiyo Tanabe, Deputy Manager Event Planning Department Events Business Bureau, Nikkei Business Publications Inc.
Come 12-15 September, the gigantic Makuhari Messe convention centre is once again the stage for TGS 2019. A quarter of a million visitors and 2,000 booths are expected. Are you excited for もっとつながる。もっと楽しい。(One World. Infinite Joy)? We certainly are! 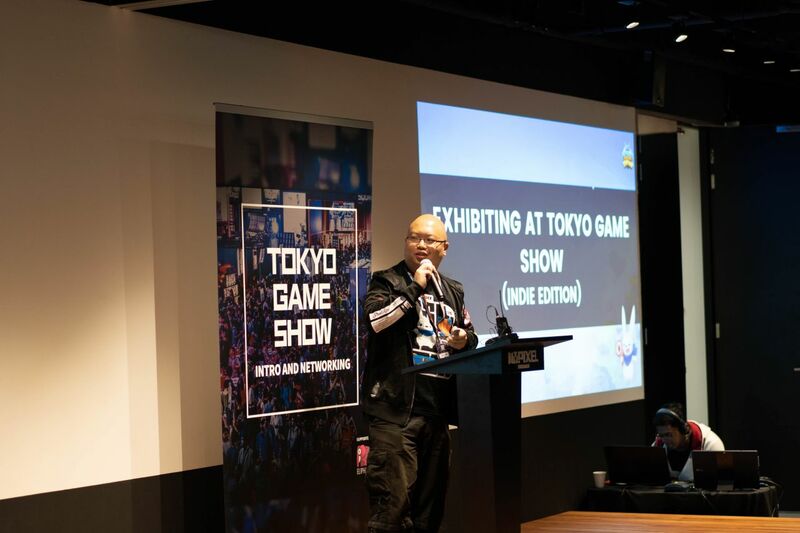 Mr Shinri Endo, Deputy Group Manager of Tokyo Game Show Management Office Nikkei Business Publications Inc.
Want to be part of TGS 2019? Booth applications are open till May 24. Do your research – look for local government grants (IMDA is a good placet to start) and apply for a subsidised booth. 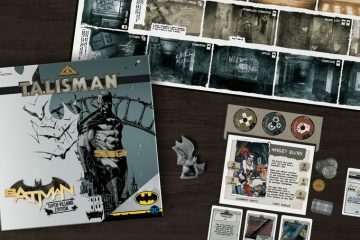 Prepare online AND offline versions of your game demo. Bonus points for localising in Japanese. Bring minions party members to help with setting-up, interacting with attendees, checking out other indies, etc. This is not a solo-tankable boss! Mr Shawn Toh, CEO of Battlebrew Productions. 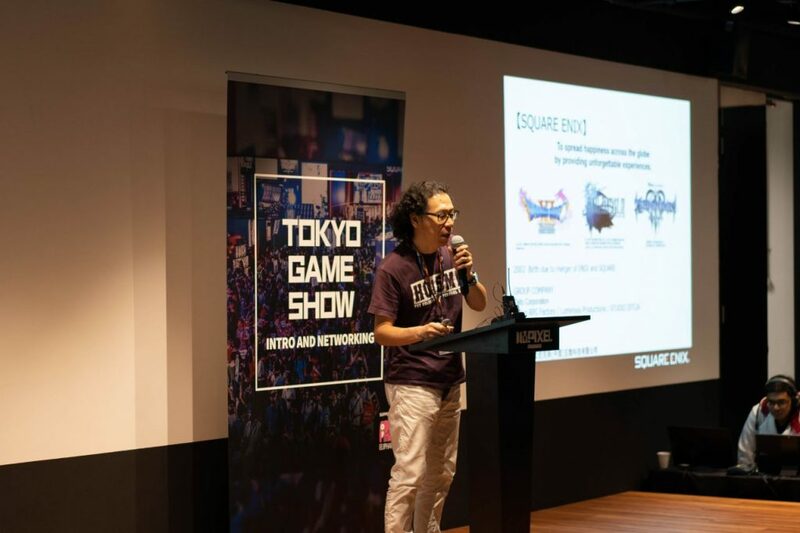 The next speaker was a crowd favourite and familiar name among the old school Japanese Role Playing Game (JRPG) fans – Takashi Tokita. After sharing highlights of his 34-year journey (and counting) with Square, as it was known back then, Takashi presented Tokyo RPG Factory’s (a studio under Square Enix) latest game – action JRPG Oninaki. 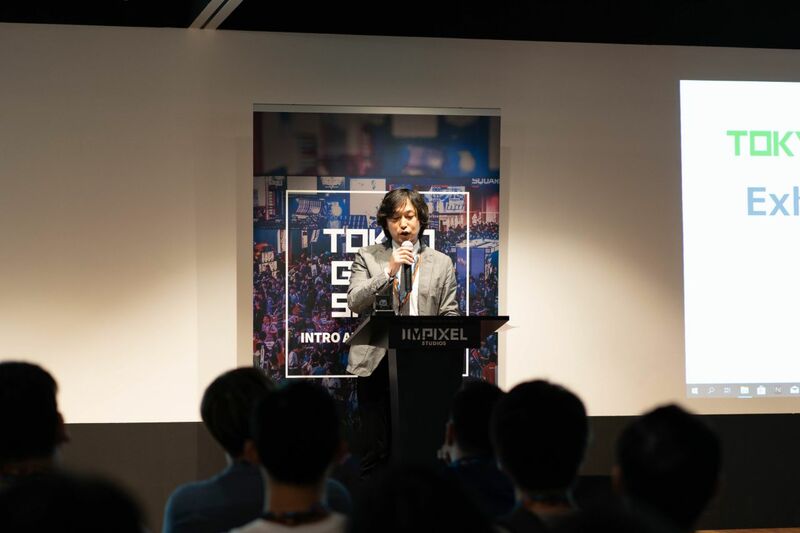 Mr Takashi Tokita, Creative Producer and Director, Business Division XI of Square Enix. Pierrot Co., Ltd, the Japanese studio that produced popular animes like Yu Yu Hakusho, Bleach, Naruto, and Tokyo Ghoul was represented by Keirou Henmi. After a nostalgic feel trip of Pierrot’s 40-year history, Keirou shared how Pierrot leveraged on their Intellectual Property (IP). 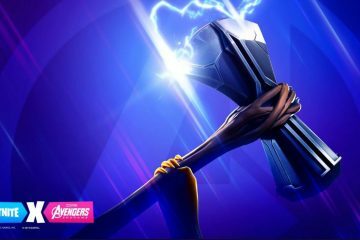 In their first partnership with streaming giant Netflix, they produced an exclusive anime Hero Mask. An enlightenment campaign with the Japanese police took the form of space police anime ēlDLIVE. Even the ramen shop in Naruto came to life in China and went viral! Mr Keirou Henmi, Managing Director of Pierrot Co., Ltd. The talented translator providing ‘live’ translations for our speakers. Ms Elicia Lee(second from R), Managing Director of Eliphant Pte Ltd with invited guests for the event. 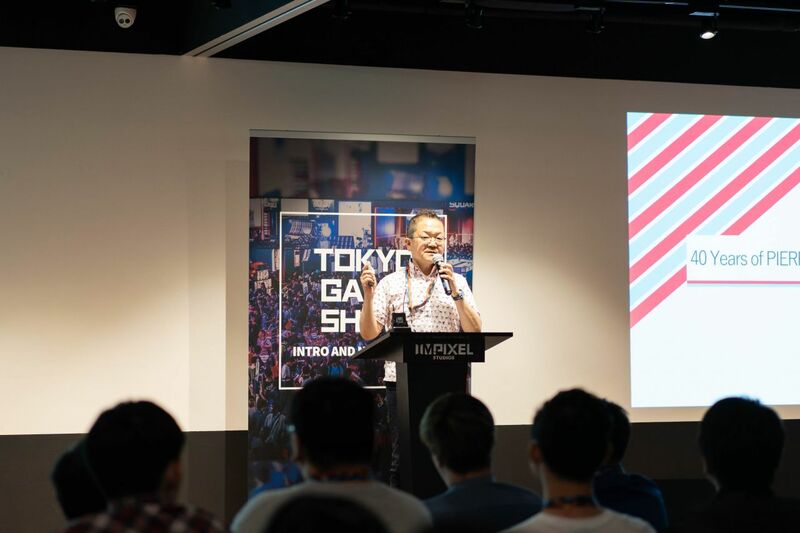 We had the privilege of asking the speakers to share their insights about TGS and the Japanese gaming industry. 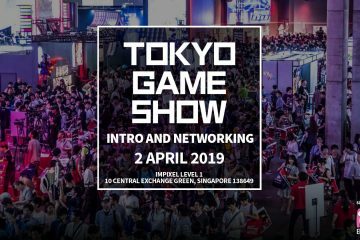 Q: What advice do you have for first-time exhibitors or those wanting to exhibit at TGS 2019? 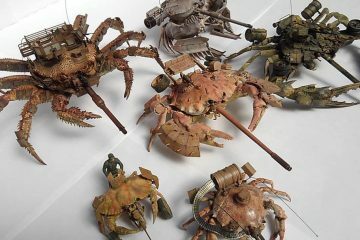 Shinri Endo (S): Have something unique to stand out from the many exhibitors, don’t hesitate and keep an open mind. 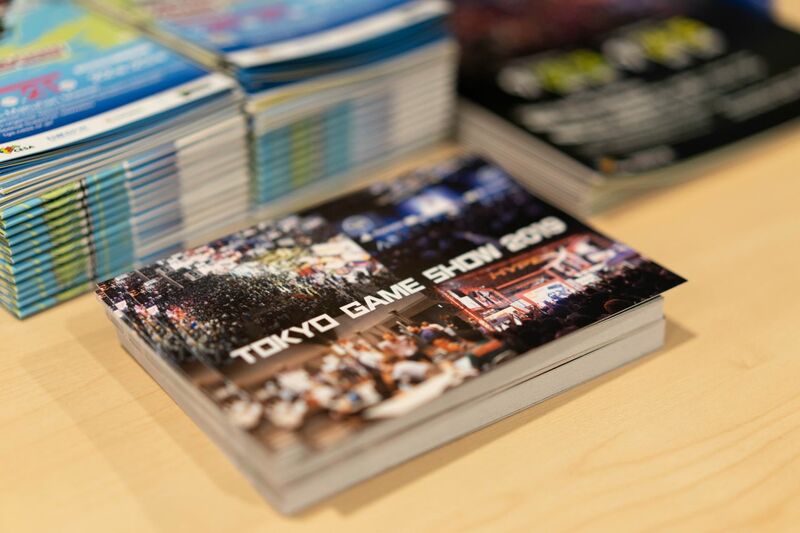 It’s OK if you don’t know Japanese, TGS is a global experience! Q: In last year’s exit survey 65% of exhibitors said they had good business results and 68% would return. 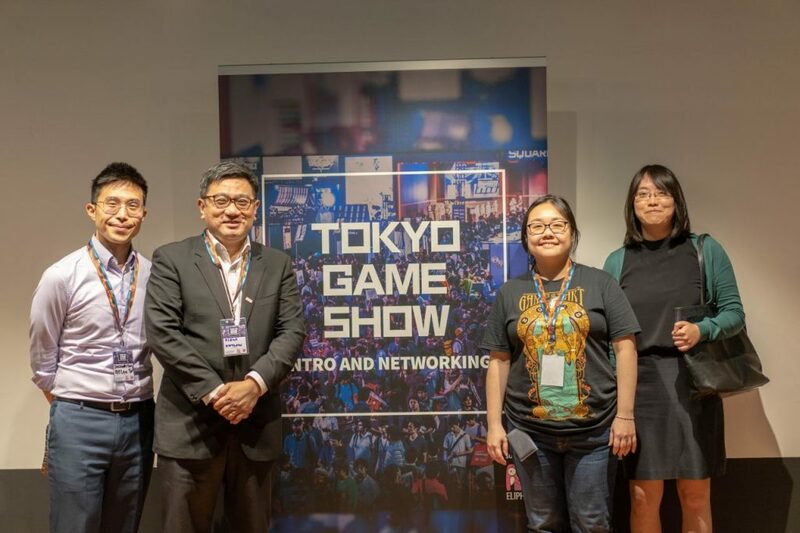 What is TGS’s secret of happy exhibitors? 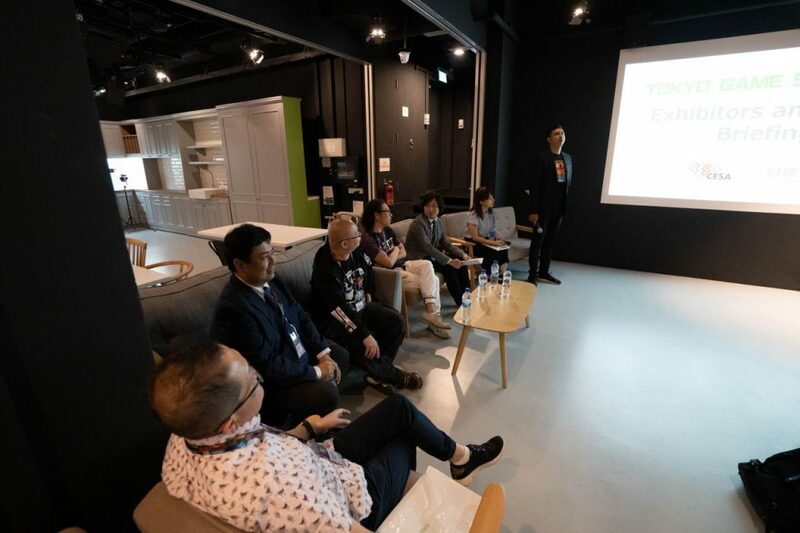 S: Utilising the expertise of CESA and Nikkei BP, who are part of the event planning committee, we gather good feedback from exhibitors and attendees and work on actionable improvements. TY: Being sensitive and responsive to the needs of different generations like incorporating VR and Esports elements in last year’s TGS. We want to create experiences that everyone can enjoy. 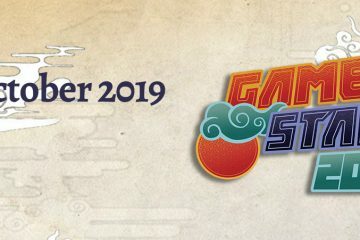 Q: The slogan for TGS 2019 is One World, Infinite Joy, moving forward do you see future TGSs as bringing the global gaming world to a Japanese audience? TY: Certainly, and the reverse applies as well. The Japanese Ministry of Communication will allow the gaming industry access to 5G mobile technology later this year. Significantly faster speeds and reduced lag opens up an exciting world of opportunities that will reduce the distance between Japan and the world. Q: Can you tell us more about your role within the CESA? 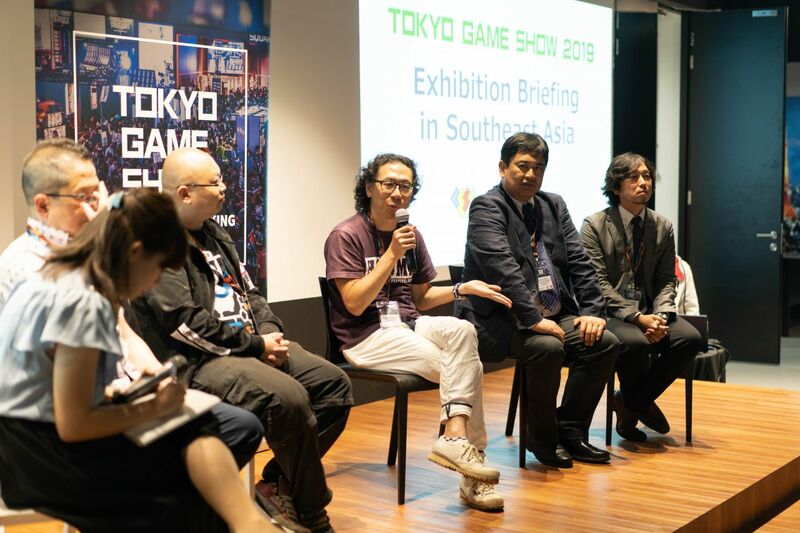 Takashi Tokita (TK): We have schools and polytechnics in Japan with specialised game-centric curricula and I’m happy to be part of the CESA department that nurtures U18 and amateur game developers from those institutions. 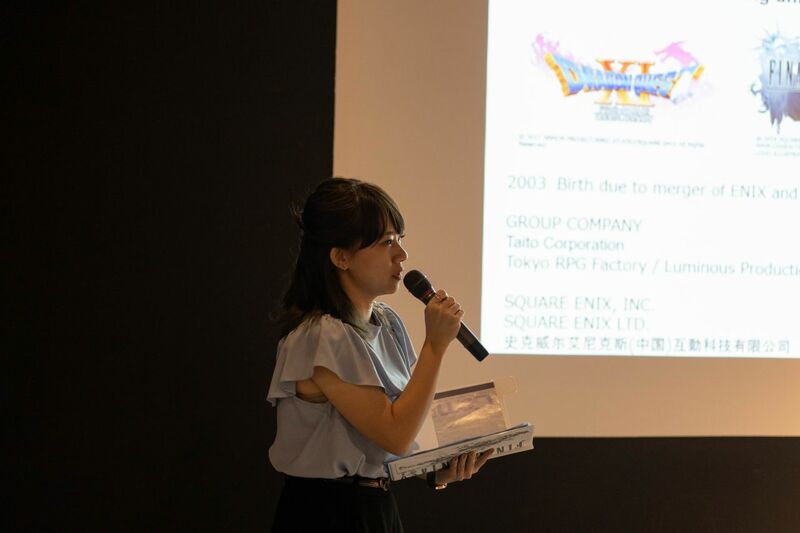 TGS helps to identify and celebrate emerging talent through the Japan Game Awards (Amateur). Q: We read that you wanted to be a theatre actor before joining Square. If a Broadway Musical on the Final Fantasy series wanted to hire you as a performer which character would you play? TK: Well I don’t have much vocal range and can’t dance, so I’d prefer a role as the comic relief or a villain, Cid Highwind (from Final Fantasy VII) perhaps? 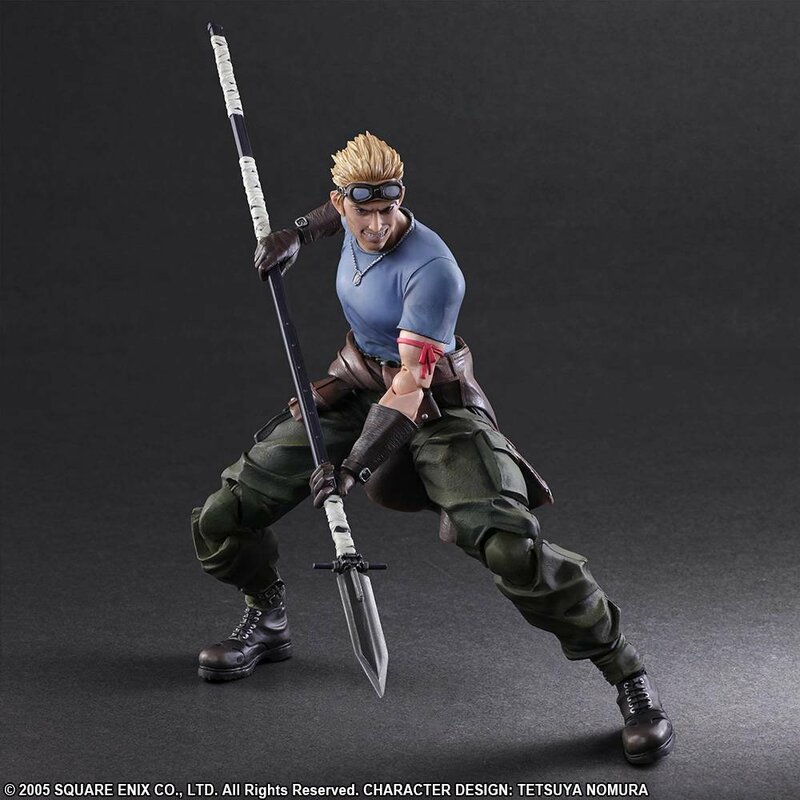 Final Fantasy VII Cid Highwind. 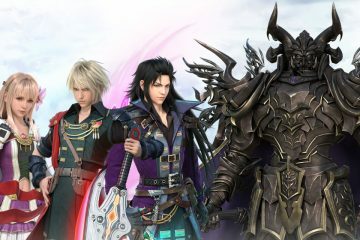 Image from Square Enix. Q: Which is your favourite cameo or item in the Final Fantasy series? What cameo would you like to see yourself next? 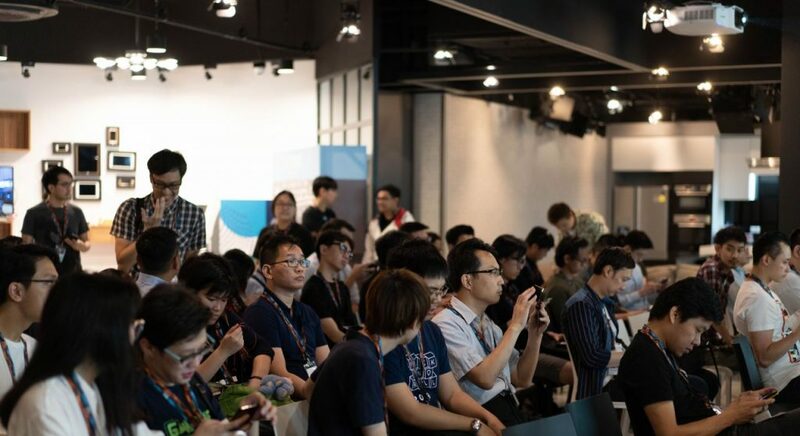 This event was made possible by Nikkei BP, TGS organiser, joint collaborators Eliphant (organiser of GameStart) and the Singapore Games Guild.